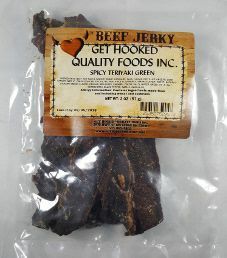 The next review on Get Hooked Beef Jerky will be on a 2 ounce/57 gram bag of their spicy teriyaki green flavored beef jerky. 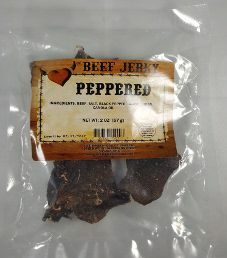 This will be the second review on their spicy teriyaki green beef jerky, where the bag design has since been tweaked, and also the jerky drying process. The bag was graciously submitted for review by Tanya Lapira. 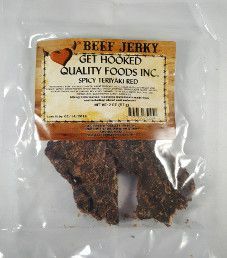 The next review on Get Hooked Beef Jerky will be on a 2 ounce/57 gram bag of their peppered flavored beef jerky. This bag was kindly submitted by the Chief Marketing Officer, Jordan R. Lapira. 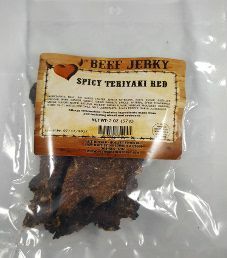 Note: A newer taste review is available, where the beef is not dried as much anymore by opening up Get Hooked Beef Jerky – Spicy Teriyaki Red Beef Jerky (Review #2). 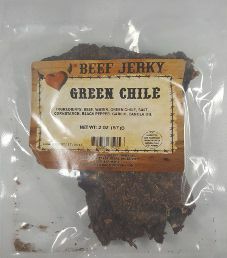 The next review on Get Hooked Beef Jerky will be on a 2 ounce/57 gram bag of their Green Chile flavored beef jerky. 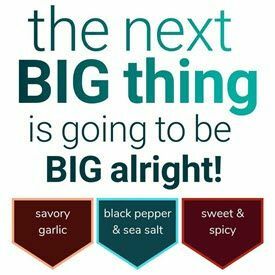 This bag was kindly submitted by the Chief Marketing Officer, Jordan R. Lapira.